The Model 2560A is a simple, precise and cost effective solution for calibrating DC measuring instruments such as analog meters, thermometers, temperature transmitters, data loggers and multimeters. 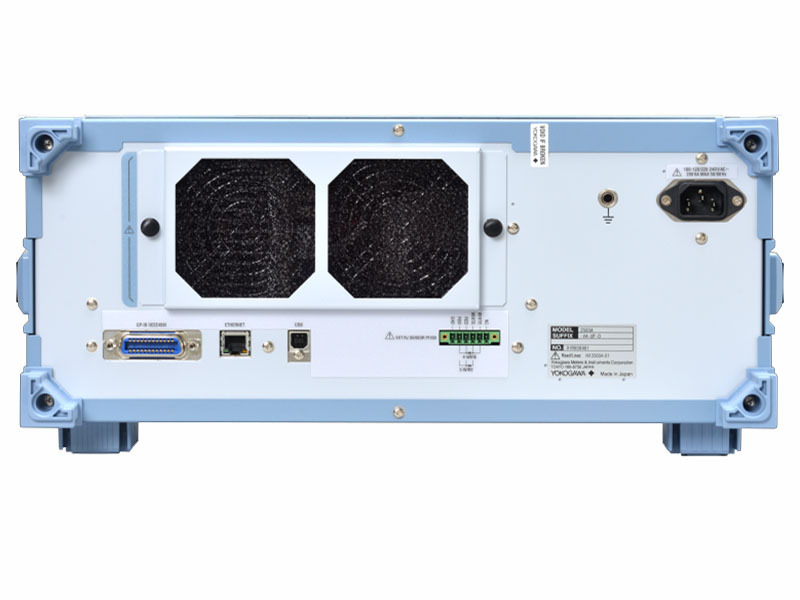 The 2560A features high-precision DC sourcing capabilities, versatility for several test applications, and a simple, easy to use interface. 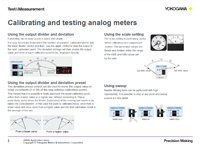 Various effective functions for analog meters calibration. 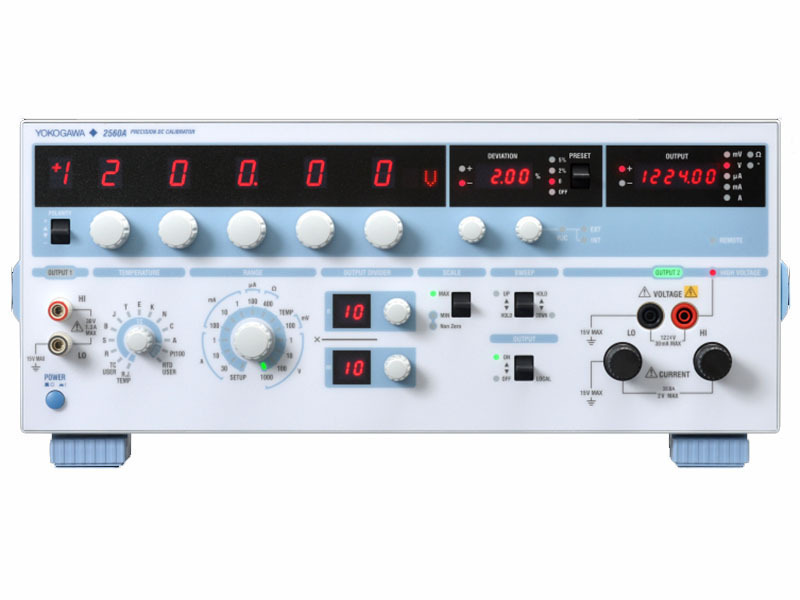 With output ranges of 100 mV to 1000 V and 100 µA to 30A, plus 10 different types of Thermocouples and Pt100 RTD, the 2560A can effectively solve the calibration requirements for DC Analog Meters and various temperature measuring instruments and controllers. The maximum output is ±122.4% of range. 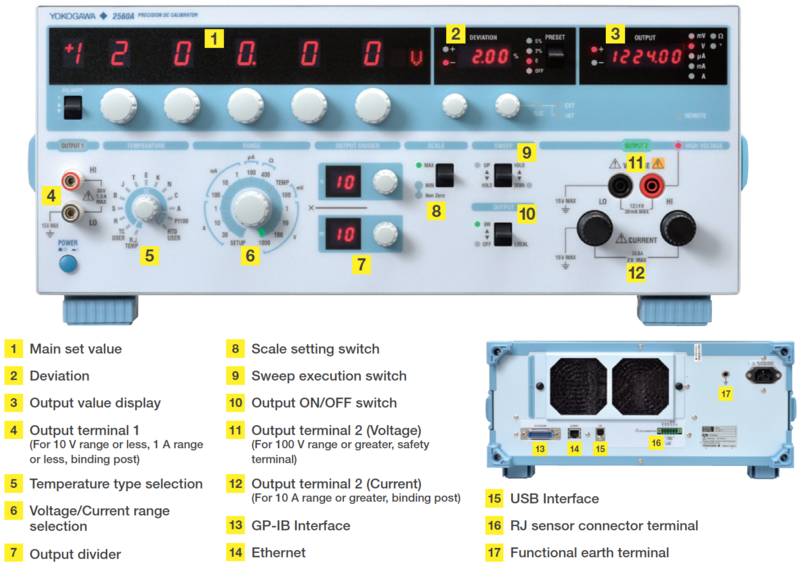 An instrument’s 1200 V range can be calibrated. To generate higher current than 36.72 A, two 2560As can be connected to double the output to 73.44 A. The deviation preset control can be used to move the output value in small increments (2 or 5% of the step between calibration points). This means that it is possible to finely approach the target calibration point, either from a lower value or a higher one, without exceeding it. This is particularly useful when the friction (hysteresis) of the moving part needs to be taken into consideration. In this case the point is calibrated twice, once from a lower value and once more from a higher value and the final calibration result is the average of the two. In the high resolution mode up to 6.5 digits, it is possible to test and calibrate digital multimeters and resistance standards. *Sweep, divider, and deviation are not available in high resolution mode. The 2560A can calibrate and test temperature controllers and data loggers which use thermocouples and RTDs. 10 types of IEC thermocouple are supported. By setting a temperature value, the emf (electro-motive force) equivalent to the temperature is generated. A wide range of temperature controllers can be calibrated due to the high accuracy. 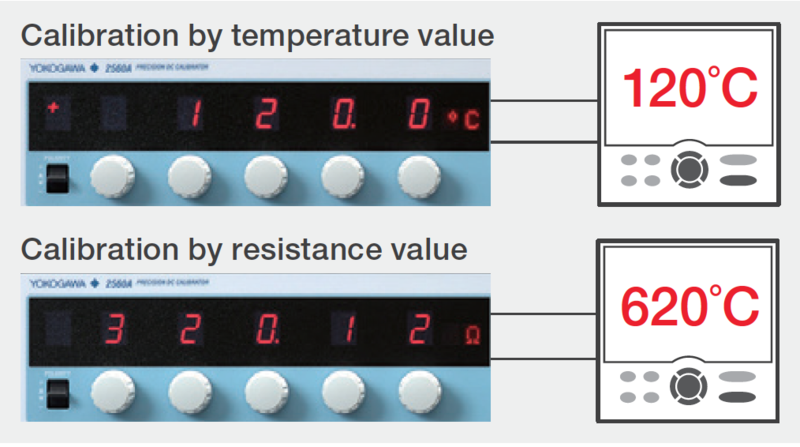 When using a Pt100 RTD, a set temperature value generates the equivalent resistance value. Calibration using the resistance value can also be performed by setting resistance instead of temperature. 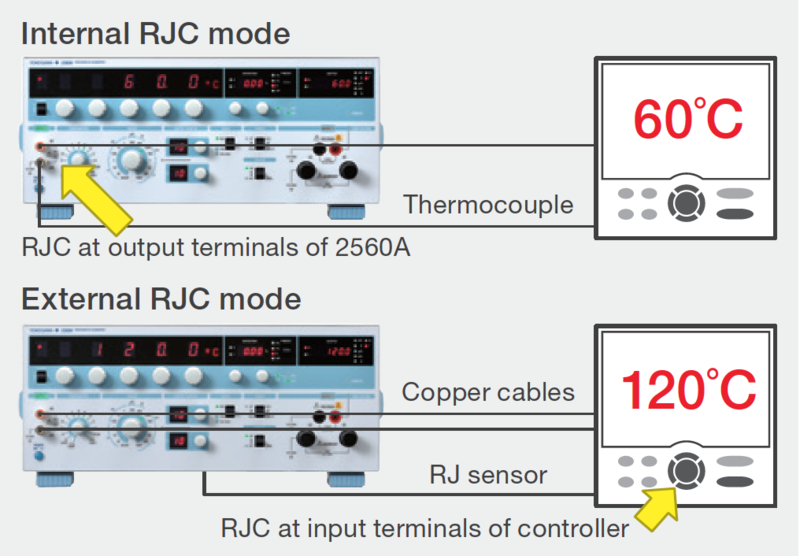 The 2560A has 3 RJC (reference junction compensation) modes. The “internal RJC mode” uses the output terminals of the 2560A as the reference point. The “External RJC mode” enables the user to choose a suitable Pt100 as a versatile external sensor. The “Manual RJC mode” enables a reference value to be manually entered. Reduced energy, emission of CO2, NOx and SOx about 66% compared to the previous model.